How often do I really need to check my emails? How long can I leave before responding to an email? Is it acceptable to switch off my mobile email device (phone, tablet etc) when I am out of the office, particularly when on leave? What’s the best way to store and organise my emails? Three or four times a day. For example, in the morning, after lunch and in the late afternoon. There will always be exceptions but most of the time, unless you are in front-line services where work comes in by email, you need to concentrate on the bigger task in hand. 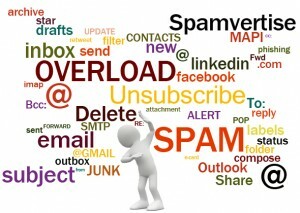 Try to limit the number of times you check your email to a maximum of five times a day. Notice what that does for you. Remember: You can switch off all those distracting new email alerts, from the ‘ping’ sound to the floating pop up box. You will be amazed at how much more quickly you finish the task in hand when your attention isn’t being diverted elsewhere. Would it surprise you if I told you that the norm for expecting a reply is half a day or within four hours? For me personally, I’m more than happy with a response the next day. If it’s more urgent than that, I will pick up the phone. Consider how you react when someone demands an instant response. Do you think it is reasonable to expect an instant reply to your email? Many questions often require a substantial response requiring careful consideration and additional information, which takes time. Start by deciding what a reasonable response time is. The productivity gains to be made from planning ahead and leaving the recipient sufficient time to make a proper reply include reduced stress levels, better quality replies and a satisfied customer when they receive a reply within the expected timeframe. If you frequently work with overseas collaborators, you might want to add a time zone to your Outlook calendar. Remember, emailing very late at night or early in the morning can inadvertently create the wrong impression. Do members of your team feel they have to check their emails at night because they’ve noticed you email them at 10pm? You may want to delay sending your emails by using the ‘Delay Delivery’ function or simply leave them in your draft box and send them within normal working hours. Is it acceptable to switch off my mobile email device (phone, tablet etc.) when I am out of the office, particularly when on leave? Deal with it there and then. Delete. Read it, decide if you need to keep it and if not, delete it. Delegate. If someone else can handle the matter, pass it to them. Defer. You may need time to consider your response. Highlight in some way and add a reminder to bring forward. To reduce email ‘noise’ – emails that add no real value to how you do your job or live your life – there are several good time management processes for prioritising what you need. A quick and easy one is QSPER Unsubscribe from as many non-essential newsletters or set up a rule to park them in a folder so you can keep them out of your Inbox and read them at a time that suits you. I’m piloting the use of these abbreviations in my emails with colleagues. It’s already led to several thought-provoking discussions about email traffic and how we can improve the subject lines and content of our emails. NRE is my favourite, I’m sure it has already reduced the number of well-intended but unnecessary replies.